What Will Happen at the Mediation Hearing in Your Workers’ Comp Case? While mediation is not productive in every workers’ compensation case, it can help resolve disputed issues and settle some claims. In addition, it can give you some control over the outcome of your claim—something that could be important to you if disputes make the result in your case more uncertain. Whether you requested mediation or it was ordered by the judge, you will be more prepared for the mediation hearing if you know what to expect. Who Attends Your Mediation Hearing? What Typically Happens at Mediation Hearings? 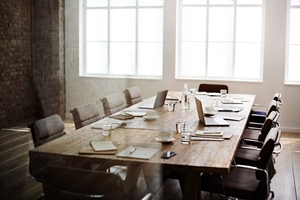 Your hearing will most likely start with all the parties in one conference room. Mediation is private and confidential. Anything you or the other party says at the hearing cannot be used against either of you at your trial or other workers’ compensation hearing. The mediation often begins with the mediator giving an opening statement about his role in mediating your case and how the process of doing so will work. After that, the attorney for the insurance company and your attorney will have an opportunity to give a brief statement regarding the key points of the case and any materials you believe will be helpful to the successful settlement of the case. In many cases, after an initial discussion, the mediator will separate the parties into different conference rooms and go between the rooms as he attempts to help you resolve your case. This allows the mediator to discuss issues privately with both parties to understand your positions and resolve disputes. He will also try to get you and the insurance company to agree on the terms of a settlement. You should expect a fair exchange of information about each of your points of view regarding disputed issues. Also, do not be surprised if the mediator aggressively tries to settle your claim and makes you aware of the weaknesses as well as the strengths of your case. He may suggest alternative ways to resolve your disputes—all in an effort to settle them. How Long Does A Mediation Hearing Take? The length of your mediation hearing with depend on several factors, such as the number of disputed issues, the complexity of your case, and the amount of information being presented to the mediator. A mediation hearing can be as short as 15 minutes or take hours to complete. How Should You Prepare for Your Mediation Hearing? An experienced workers’ compensation attorney can advise you whether mediation can help you resolve your claim and can thoroughly prepare your case to maximize the likelihood that the hearing will be successful.